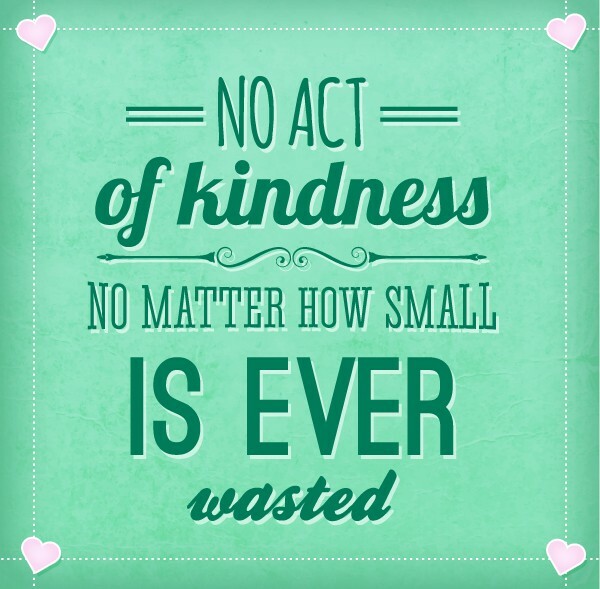 Day 7 1/2 – Random Acts of Kindness – whether it’s holding the door open for someone or allowing the over-burdened person in line behind you to go first, acts of kindness will brighten your day just as much as it will theirs. Giving a stranger one of your smiles may be all it takes to improve their day, adding a compliment would be icing on the cake. Researching this blog we came across this site – RAKing. We haven’t printed the cards as they suggest yet but we are practicing what they preach. The world is an uncertain place. 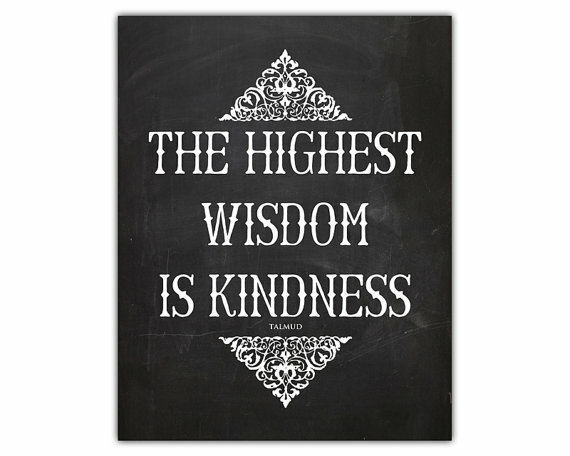 Kindness makes it feel safer. 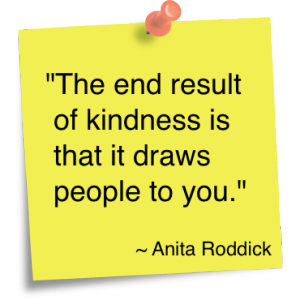 Anita Rodrick said “The end result of kindness is that it draws people to you.” and “If I can’t do something for the public good, then what the hell am I doing?” Both of these quotes say it all. Isn’t this what Santa is all about? Giving, otherwise defined as kindness? This holiday season spread kindness as far as you can. Please share with us your acts of kindness. We welcome new ways to practice RAKing. This entry was posted in Cheers!, Family Fun, Perennial Ponderings and tagged Christmas, Family, Friends, Friendship, gratitude, Holidays, Kindness, positive, Wealth on December 19, 2015 by notsooldladies.